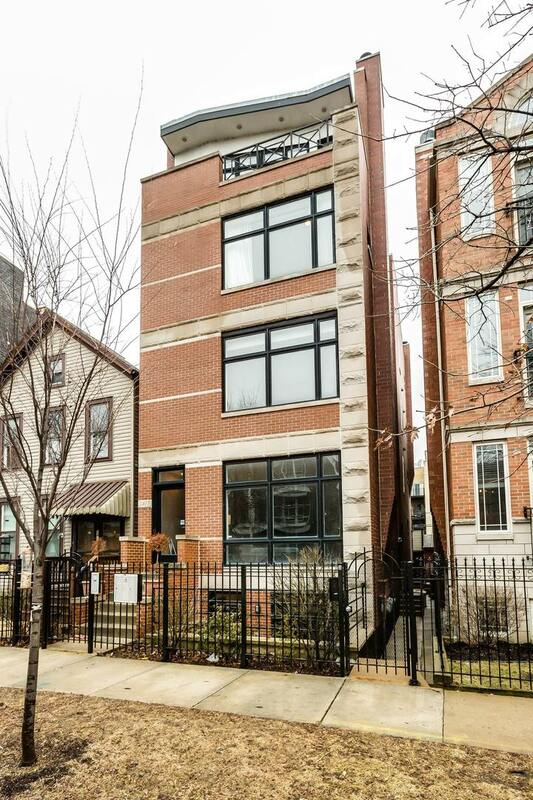 Sophisticated tri-plex up, no basement, that feels very much like a single family home in Bucktown. Unit 2 is heavily upgraded with all the bells and whistles. The home features 3 bedrooms, 2.5 baths, 1 garage space, 2 fireplaces and a master suite fit for a king. The master encompasses the entire 3rd floor with a fireplace, private deck, wet bar, limestone bath and ample closet space. The living and dining space are adjacent to the kitchen; finished in granite and stainless appliances. The building is constructed from brick and for your enjoyment a shared common deck with city views. You&apos;ll love walking the &apos;606&apos; path which is 2 blocks to the south and in the thick of all of Bucktown&apos;s shopping, restaurants and night life. It is a very quick walk to the Blue Line & an easy ride to the Kennedy. There is such easy street parking, you&apos;ll love to call 2417 Cortland home.